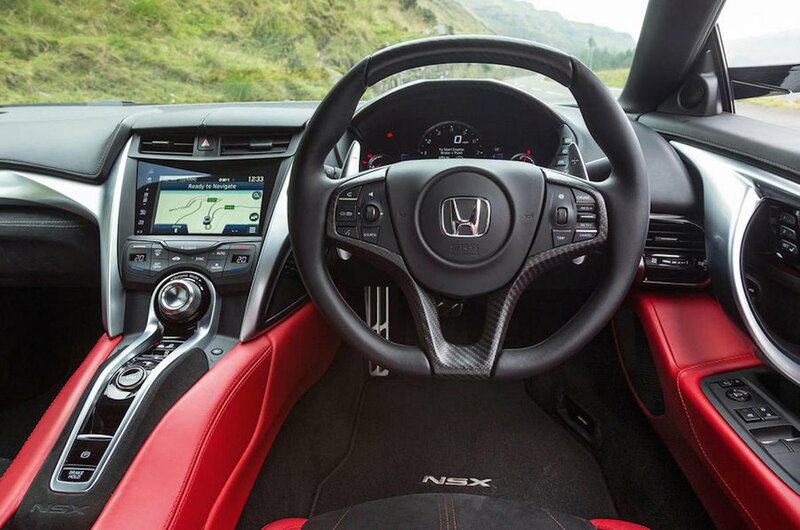 Honda NSX Interior, Sat Nav, Dashboard | What Car? We think you’ll be generally impressed by the NSX’s driving position. The seats are low but offer fine support, and your feet find the pedals without the need to contort your legs at odd angles. With plenty of height and reach adjustment to the steering wheel, that’s the icing on the cake that makes the NSX a surprisingly good long-distance companion. Visibility is pretty good as well. Sure, it’s not comparable to a family hatchback, but forward visibility is decent and the good door mirrors make spotting traffic to the side easy. Even the rear window is large enough to see what’s following behind. For reverse parking you will be thankful of the standard rear-view camera, while simultaneously lamenting the lack of standard front or rear parking sensors. Things are less commendable when you cast an eye around the dashboard. The fussy button layout requires plenty of familiarisation, and at this price range the infotainment system is downright poor. It looks and feels like an aftermarket add-on rather than a manufacturer installation, with confusing menus and small icons on the 7.0in touchscreen that are tricky to hit while driving. The system is slow to respond to inputs and the graphics look old-fashioned, too. And if you were expecting sat-nav to be included, sorry, that’s an expensive option. For the NSX’s exalted list price the perceived quality is also a let down. The standard leather seats have a cheap-looking sheen, the buttons feel ordinary instead of well damped, and the trim highlights around the dashboard are distinguished only by their cut-price feel. 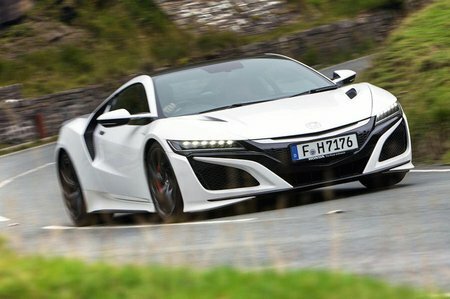 Compared to any rival of equivalent money, particularly the Audi R8 Plus, the NSX has a decidedly cut-price look and feel.